For the user-friendly parameterization of the ripple control device portfolio, Landis+Gyr offers a set of tools running on Microsoft Windows 7, 8 or 10. The parameterization software RPT01 allows easy programming of the Landis+Gyr RCR, FTU2, FTY and L320 receivers and the L740 hybrid load switch. The interpreter program concept allows highly flexible applications in the field thanks to the free allocation of addresses and commands to each single relay. Data transfer takes place via Bluetooth or USB optical heads or by using the pluggable memory mechanism in the receiver. The receiver data can be conveniently structured in customized projects with different ripple control systems or frequencies for easy access. RPT01 features a template and function library to support efficient parameterization, receiver test and diagnosis functions and a label printing function. 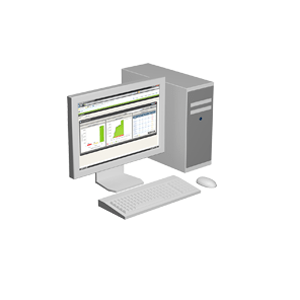 ROP is the user-friendly parameterization software for the Landis+Gyr RO receiver family. The main menu displays a switch programming overview as a quick reference for the user. The tool features clear administration and naming of ripple control commands and addresses, test and diagnosis functions, label printing function and more. Data transfer takes place via Bluetooth or USB optical heads or by using the pluggable data carrier option in the receiver. RPT01link is an easy to use, intuitive parameterization software for the complete Landis+Gyr ripple control receiver and L740 hybrid load switch portfolios. The user interface has been optimized for touchscreen operation. The necessary application parameterization files are first created in the RPT01 or ROP parameterization software and then exported into RPT01link. The mobile RPT01link software uses the uploaded application files for the on-site parameterization and maintenance of devices. A wealth of functionalities and information are available for testing and ensuring that the device is running correctly.